A couple of Aucklanders got a quick return for their investment when Massale scored a debut win in the Totally Vets 2YO at Awapuni today. Cedric Abernethy and Bruce Kennedy took up shares in Massale last Sunday evening and cheered the strapping son of Shaft to a short head win over another first-starter Platinum Balos in a tight finish. 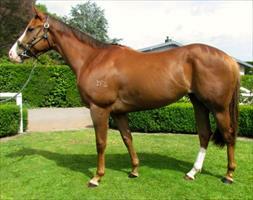 Massale had been bought by Paul Moroney Bloodstock from this year’s Select Yearling Sale at Karaka and was originally raced by Ballymore Stables (Aust) Pty Ltd with staunch sdtable supporter Grant Devonport also in the ownership. Barry Neville-White, a past president of the Auckland Racing Club, and his wife Deidre came into the ownership after Massale had won at the Paeroa trials on November 26 then Abernethy and Kennedy were persuaded to join the action. “We had been trying to get Cedric and Bruce in since we bought him at the sales,” said Chad Ormsby, who trains Massale in partnership with Moroney’s older brother Mike. “Me, Mike and Paul liked the horse right from the time we got him and wanted to see him raced by some friends. Cedric and Bruce came in last Sunday and it wasn’t until Monday that we got the name through so he could start. Ridden by Jonathan Riddell, Massale tracked the pacemaking The Jeuneyman to the home turn in the four-horse field and, as he went up to challenge on the outer, Etoile D’Ange, who had trailed third, came through on the inner. The Jeuneyman copped a check as the challengers came either side of him and dropped out, at which stage Platinum Balos attacked strongly down the outer and headed Massale, who fought back doggedly to get the bob on the line. Platinum Balos was game in debut while Etoile D’Ange weakened to be three and a quarter lengths further back in third spot, almost six lengths clear of The Jeuneyman, who wasn’t pressured after losing ground through the check. Massale, a relative of the Gr. 1 Captain Cook Stakes winner Hello Dolly, is being set for the Karaka Million at Ellerslie late next month and is likely to have one further race before his $1 million mission. The Moroney-Ormsby combination also struck success in the next race, the Ricoh Premier 85 2000, when Graphic, owned by Hunterville couple Christopher and Susannah Grace, kicked strongly to hold out a late charge from King Kamada.